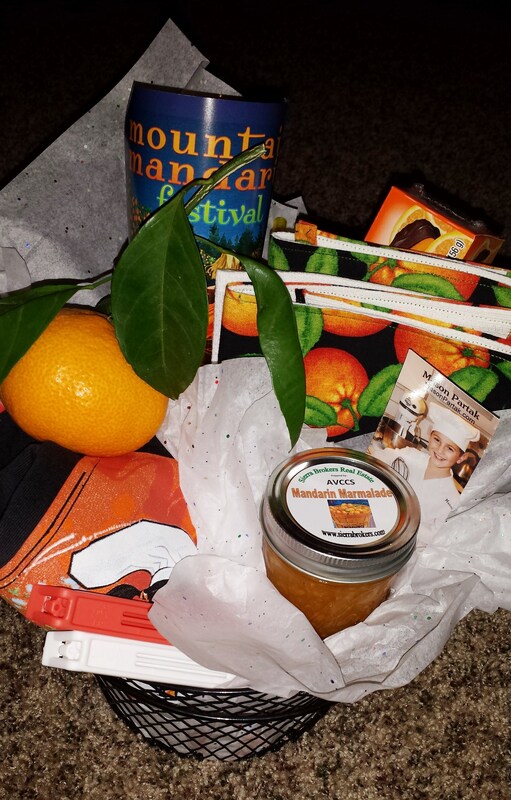 Mandarin Festival Gift Basket Give Away! Mason will be cooking at the Mandarin Festival on Sunday, November 24th at 11:00 AM. Come see him in action and taste some of what Mason is cooking up! To win this Mandarin Festival gift basket, comment on this post between today and November 24, 2013. Mason will draw the winner using a random number generator and announce the winner on 11/25/13. Share on Facebook and Twitter and post the link to those shares in a new comment for extra entries, in addition to liking Mason Made and The Mountain Mandarin Festival on Facebook! The winner will have 30 days to reply with mailing information otherwise, a new winner will be selected. Have fun and share! *By participating in this contest, participants agree to have their name announced in a video done by Mason and posted publicly if they should win. *USA Only due to difficult packing/shipping. ← Congratulations Joey Basile! You Won! Mandarins are so juicy & sweet – my grandkids love them for after-school snacks. This Mandarin basket looks delicious. Love you on Good Day. Its awesome to see young ppl doing such wonderfully positive things. Keep up the good work. Thank you! Mason is certainly driven and a good cook. Saw you on Good Day!! Great job!! Loved the dance moves! We wish we could make it to the Festival, but I will be working an event in Napa next weekend!!! But we know you will rock!! I think its great that Mason is cooking at such a young age! Great job and I can’t wait to see you at the Mandarin Festival. This looks like a yummy gift basket! I love to eat mandarin oranges with cottage cheese. They just go together! Mandarins are so good and it is so much fun watching you cook on Good Day Sacramento! !